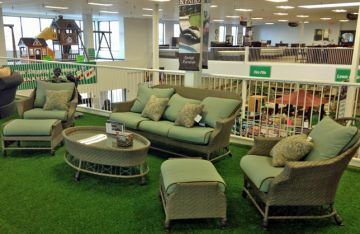 Keeping synthetic turf systems cool and comfortable during warm summer months is the number one industry question. Introducing ToCool Evaporative Cooling Technology that keeps the turf temperature down up to 50oF. The thermoplastic, or PE, the primary material used to manufacture the turf, absorbs and retains heat differently than natural grass. The thermal buildup is not safety but rather a comfort issue. 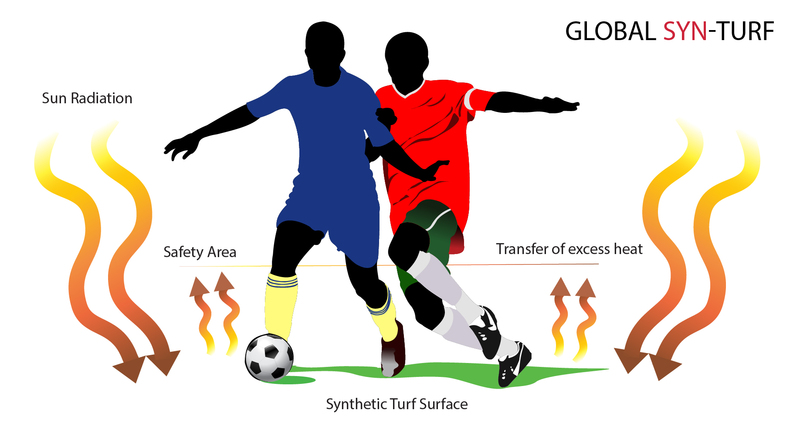 When solar energy is transmitted to the turf surface, it transfers excess heat to the air within a safe area (below the chest level.) The conventional solutions are centered around infills. But as a practice has shown, many of them won't work as anticipated. 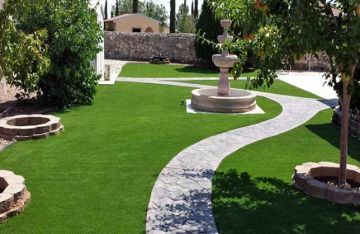 The answer to cooling synthetic turf lies in the physics of heat energy. Heat can be transferred from one object to another in four ways: conduction, convection, advection, and radiation. The Sun's emits heat in the form of electromagnetic waves and photons. When the infrared radiation hits the surface, its molecules movement speeds up. This increased kinetic energy of particles feels to us like heat or sensible heat. For most of us, the terms heat and temperatures sound equal; they describe different measurements. Heat is a measure of molecular energy. Temperature is a measure of the average kinetic energy of the atoms or molecules in the system. The total amount of heat depends upon the number of particles in the object. To determine how much of heat energy is absorbed by the object, you must know the temperature and the amount of energy required to raise one gram of the substance to the one degree Celsius. Heating up the object doesn't mean its temperature will rise. You can add more heat to a system without a temperature change. How? By using the principle of a phase change. Heat conduction is the flow of internal energy from a region of higher temperature to an area with of a lower temperature. Above -273.15° Celsius, every object's particles (atoms, ions, electrons, molecules, etc.) are continually jiggling and moving around, hitting each other and other objects. When we add energy to an object, its particles start moving and vibrating faster increasing its kinetic energy, or heat. During the phase change, the temperature remains the same because the heat energy is used to change the bonding between the molecules instead of changing their kinetic energy. For example, the ice molecules are firmly bonded to one another, but also, they vibrate, so their Kelvin temperature is proportional to the average kinetic energy. When ice is melting, after their molecular bonds are broken, the molecules move at the same speed as before, and thus, their Kelvin temperature does not change. 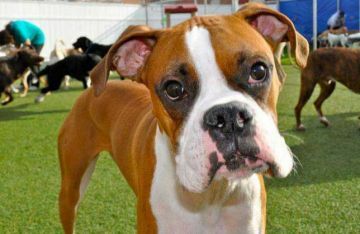 Endothermic reactions release energy, usually in the form of heat or light. In an exothermic reaction, energy is released because the total energy of the products is less than the total energy of the reactants. It occurs when a greater amount of energy is required to break existing bonds between reactant particles than is released when the new bonds form in the product. The endothermic reaction draws heat from their environments. The term was coined by Marcellin Berthelot from the Greek roots endo-, derived from the word "endon" meaning "within" and the root "therm" meaning "hot" or "warm " intended sense is that of a reaction that depends on absorbing heat if it is to proceed. Evaporation is the endothermic reaction when a liquid substance becomes a gas. For example, when water is heated, it evaporates. When the heat is applied to the object, its energy helps to break the bonds between molecules instead of speeding them up. Some particles escape from the liquid and become a gas. The remaining particles slow down in their movement, so their kinetic energy decreases, cooling down the surroundings. 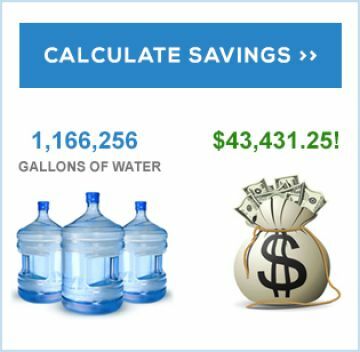 Evaporative cooling is something that we have all know and experienced. Wearing a damp tee shirt on a warm but windy day gives us a chill. The phenomenon that causes this is the latent heat of vaporization. Latent heat is the heat energy per mass unit required for a phase change to occur. To cause a state change in the water, or to break intermolecular forces which hold the molecules of water together, the energy must be taken from the environment. Water molecules can move in three ways: vibration, rotation, and translation. When heat is applied, its energy is used to break or weaken the individual hydrogen bonds between H20 molecules. 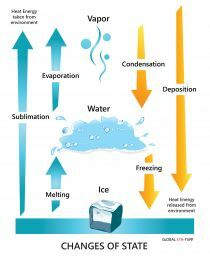 During the water evaporation phase change, the water temperature ceases to increase until all of the liquid evaporated to saturated vapor, while the air surrounding the H2O will have heat subtracted from it. 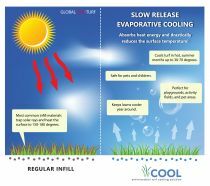 In other words, the evaporation cools the surrounding objects. Water exists in three states: as solid (ice), liquid, or gas (vapor.) Snow, rain, and clouds are all made of some state of water. 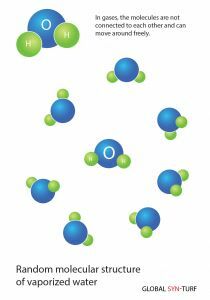 In a solid state (ice), water molecules are all hydrogen-bonded. Hydrogen bonds hold the water molecules in place. 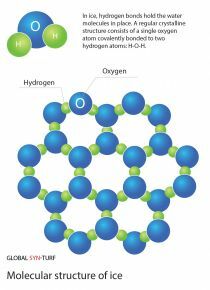 A regular crystalline structure consists of a single oxygen atom covalently bonded to two hydrogen atoms: H-O-H. 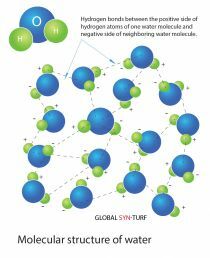 When water freezes, its molecules move apart, begin moving around slower, allowing them to form hydrogen bonds, and eventually become an open crystalline structure. Since this structure is open, the volume decreases by about 9%, making ice lighter than the same volume of water. Water is one of the few substances whose solid state can float on its liquid state. In a liquid state, water molecules move around quicker than in its solid state, enabling them to form fewer hydrogen bonds and stay close together. Each particle forms hydrogen bonds between the positive side of hydrogen atoms of one water molecule and negative side of neighboring water molecule. As the water heats up, the hydrogen bonds between molecules break. Steam particles move apart so fast; there is not enough time for hydrogen form a bond. The lack of hydrogen bonds explains why steam burns more than water at the same temperature. Vapor contains all energy used to break hydrogen bonds in water. When it hits your skin, it suddenly loses energy causing damage to your cells. Current research suggests that the energy required to free an atom from the liquid is equivalent to the energy needed to overcome the surface resistance of the fluid. Since water has relatively high surface tension from its hydrogen bonds, thus water needs to absorb a significant amount of energy to go through a state change. The amount of heat transfer depends on the evaporation rate, which in turn depends on the air humidity and its temperature. When the air is very humid, the evaporation is slower. Thus, it's more effective in dry climates. 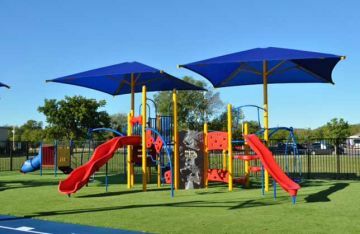 ToCool synthetic turf solution works on the evaporative cooling principle. 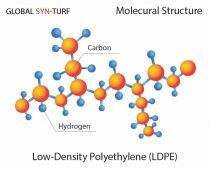 It helps to store moisture within the synthetic turf systems, and when solar energy heats the turf, the evaporation process takes heat energy to break intermolecular bonds between water particles, instead of changing the kinetic energy in thermoplastic turf blades. 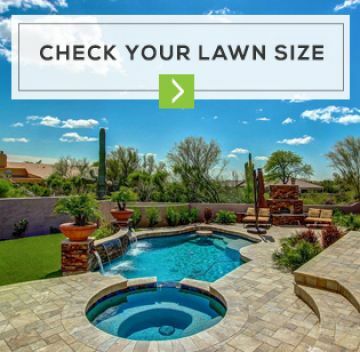 Most common infill materials trap solar rays and heat the surface to 150-180 degrees. 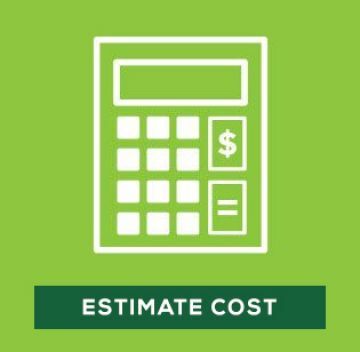 The ToCool eco-friendly, healthy and cost-effective infill solution cools down synthetic turf by an applied principle of evaporative cooling. Testing has shown that the ToCool systems reduce the surface by 30 to 50 F.
ToCool also adds the benefit of the antimicrobial addictive, BacShield. The antimicrobial protection is not just about the cleanliness of the surface. The hundreds of volatile compounds of bacterial cultures produce a lot of smells, and mostly not ones we like. 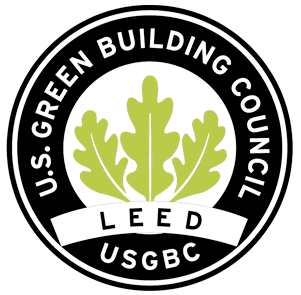 The BacShield fights harmful microorganisms including bacteria, protozoans, viruses, and fungi such as mold and mildew. When microbes come into contact with the turf surface, the antimicrobial agents penetrate its cell walls and disrupt key cell functions to limit microbial growth and reproduction. 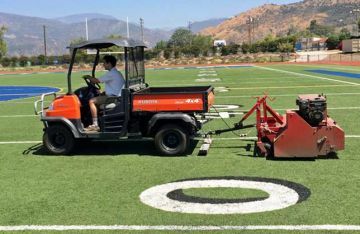 With ToCool, the time when synthetic turf needed a warning sign about blistering temperatures is over. 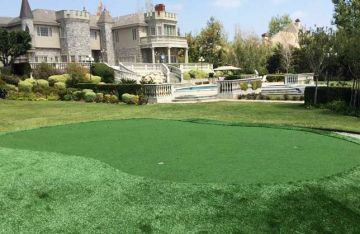 While artificial grass, impervious to drought conditions, is more susceptible to high temperatures than its counterpart, ToCool allows for safer and more comfortable playing surface conditions for athletes and children.